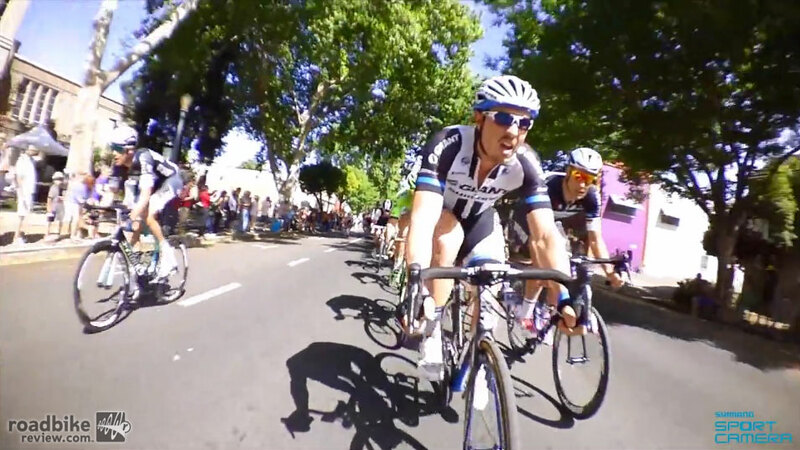 Giant-Shimano’s John Degenkolb lines up for the final sprint to the line. 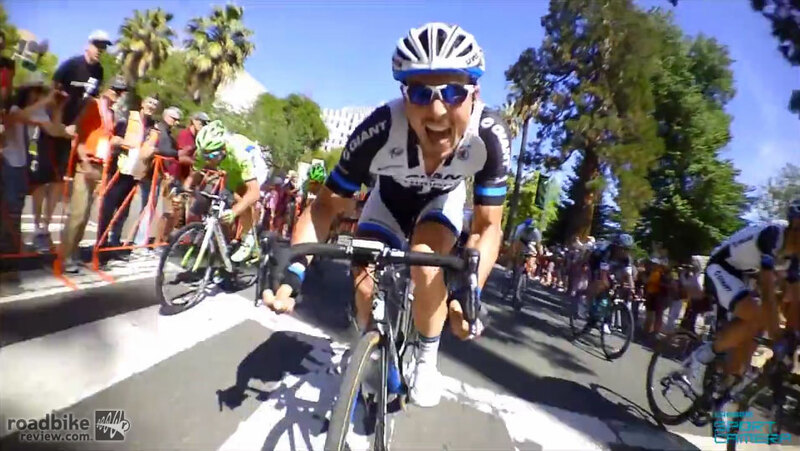 Ever wondered what it’s like inside the pro peloton during the final mad dash sprint to the finish? 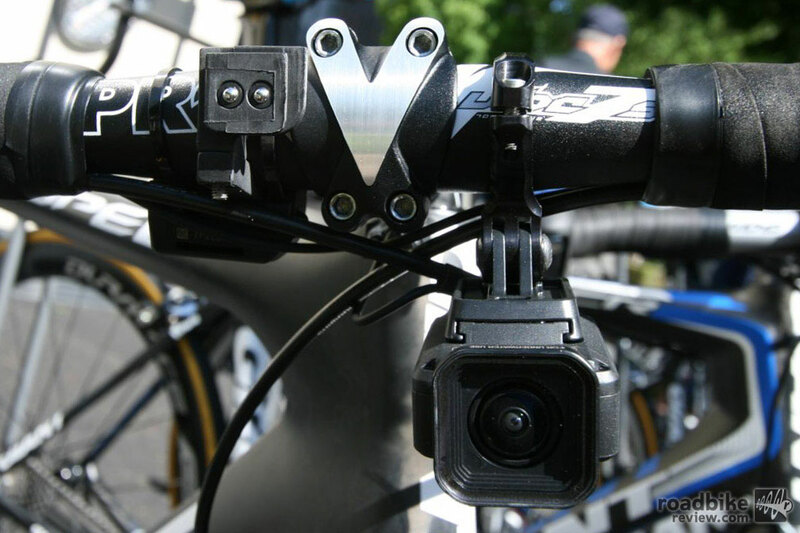 Now, thanks to the sport’s governing body finally coming to its senses and allowing on-bike cameras in some races, you can find out. 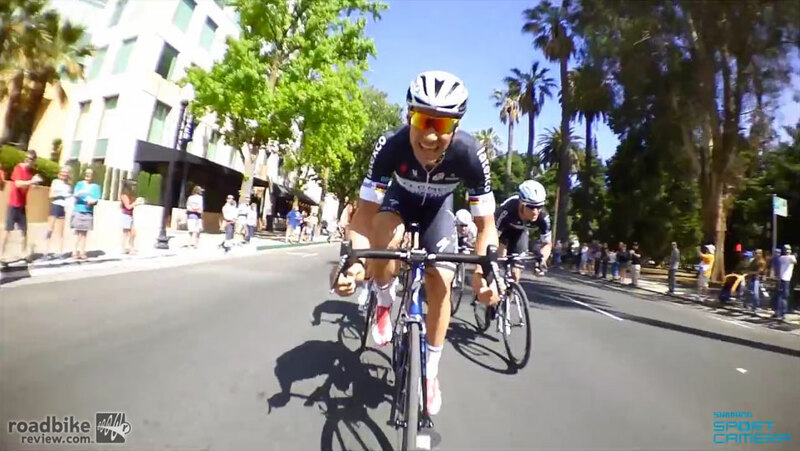 During the on-going Amgen Tour of California, riders of the Giant-Shimano team have been racing with Shimano’s new Sport Camera CM-1000 attached to their bars and seatposts. 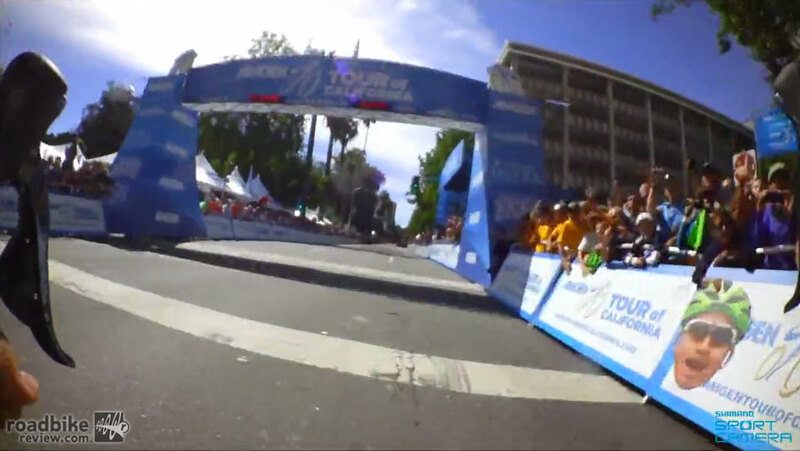 The resulting video seen below is a testament to just how fast and dynamic the end of a road race can be. Belgian great Tom Boonen is seen here working for teammate Mark Cavendish. 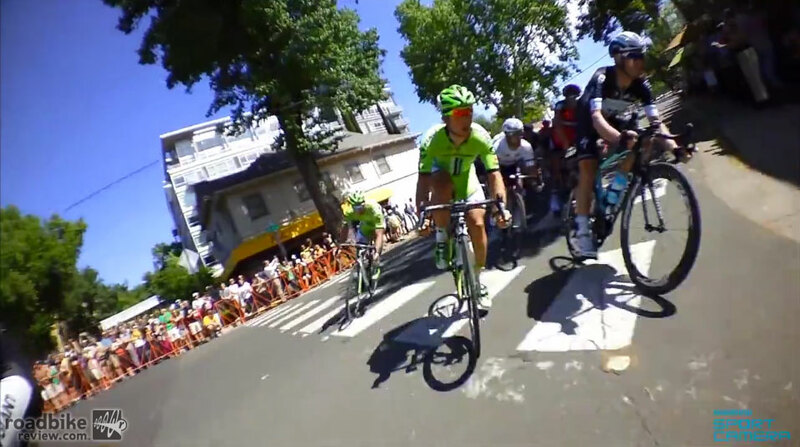 You’ll also spot rival sprinters Peter Sagan (Cannondale) and Tom Boonen (Omega Pharma-Quick Step). Degenkolb tucks in behind Boonen as the finish draws closer, then comes around the Belgian. Next to Boonen you’ll spot the QPQS lead-out train working for its top sprinter Mark Cavendish. 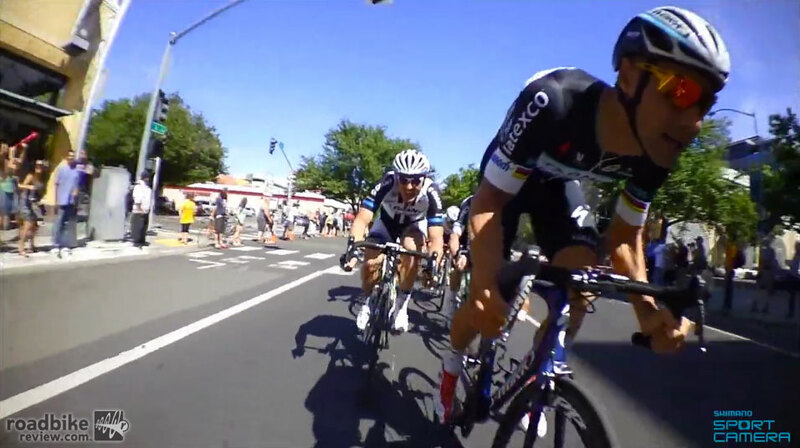 POV then shifts to Degenkolb’s bars, as he blasts around Boonen, passes his last lead-out man, and then goes mano-a-mano with Cavendish (who you don’t see until after the finish). 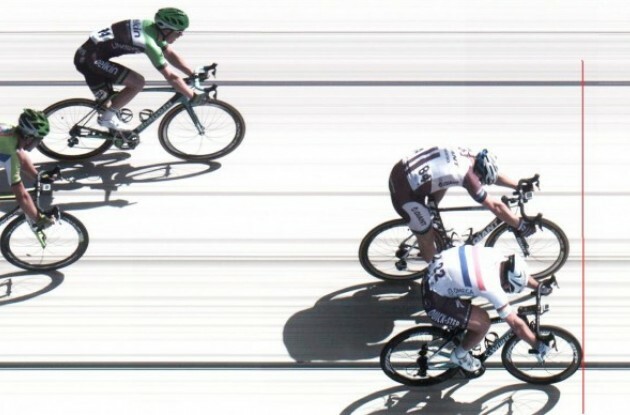 It appears Degenkolb is first across the line, but it was Cavendish who took the win by about a quarter wheel width. Next time a side mounted camera is in order. 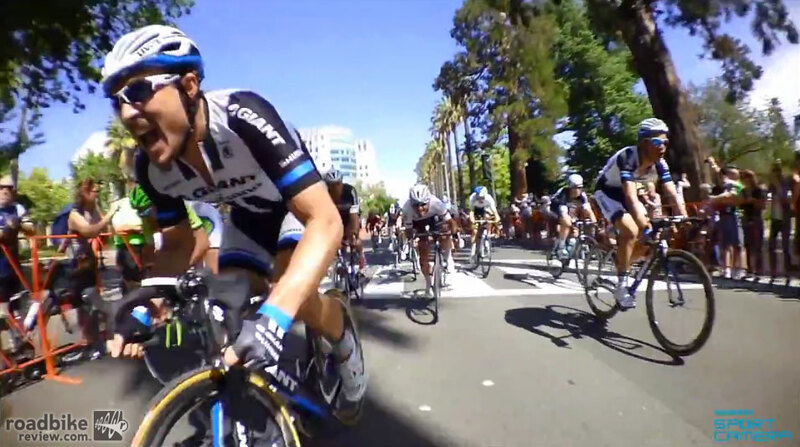 Photo finish with Cavendish taking the stage 1 win at the Amgen Tour of California. Shimano’s CM-1000 Sport Camera will retail for $300 and be available to the rest of us starting in August.